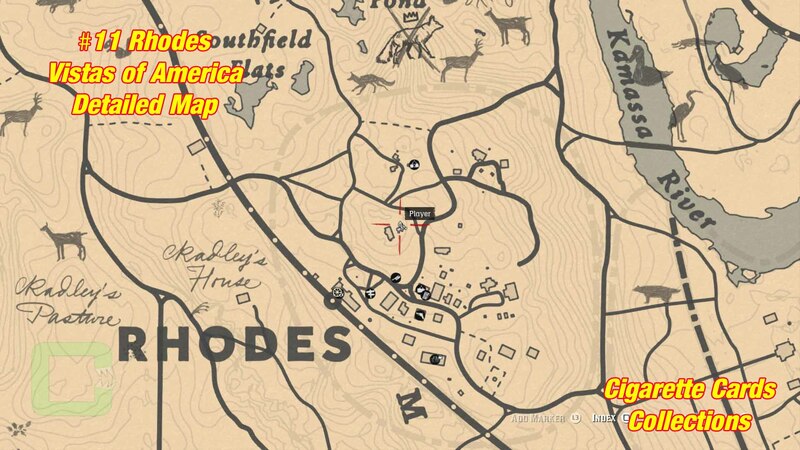 The card is located at Caliga Hall East of Rhodes. 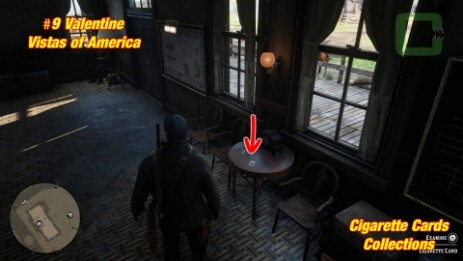 It is in front of the house on the table. 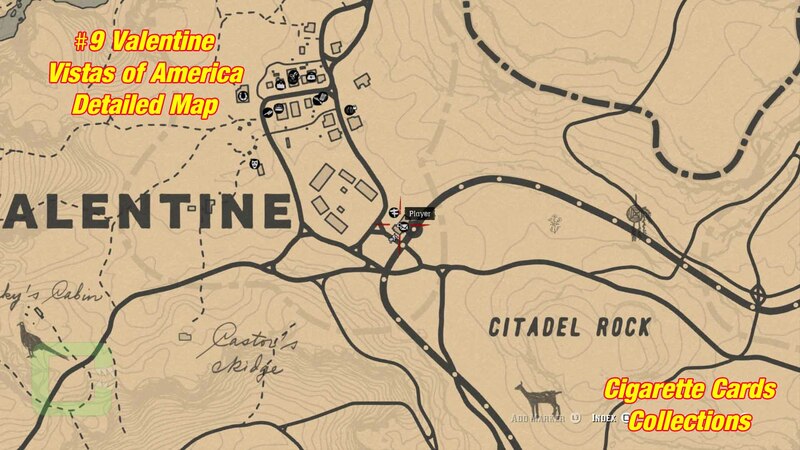 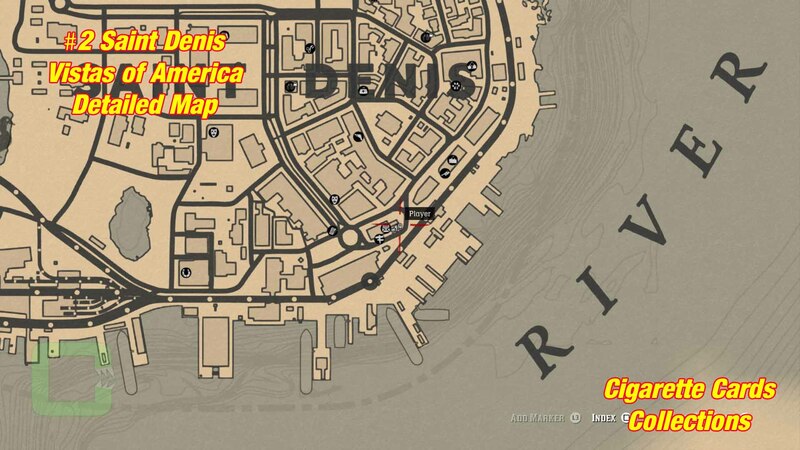 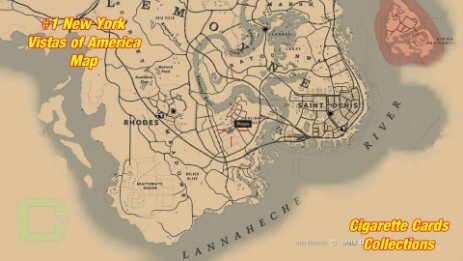 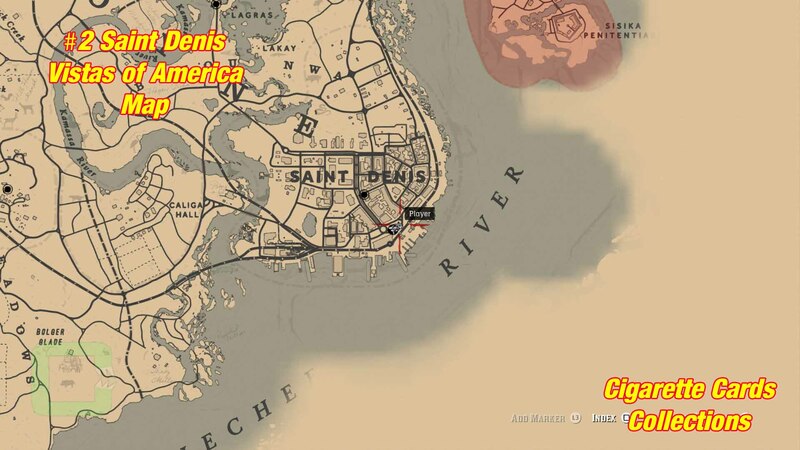 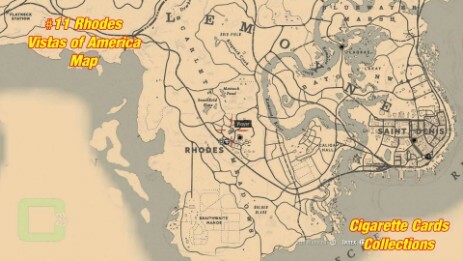 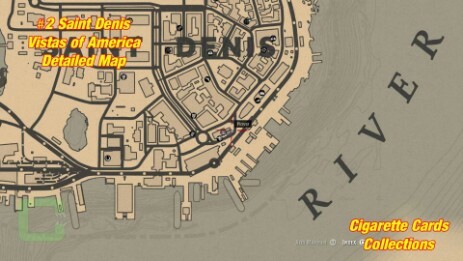 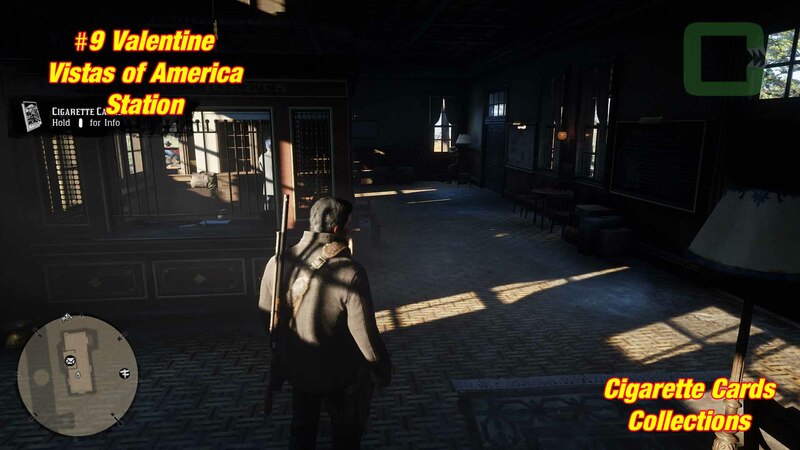 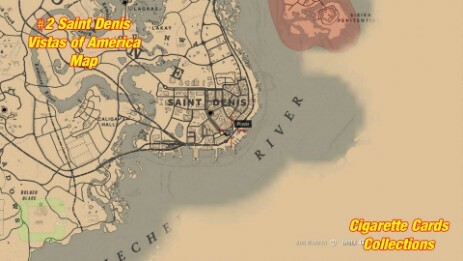 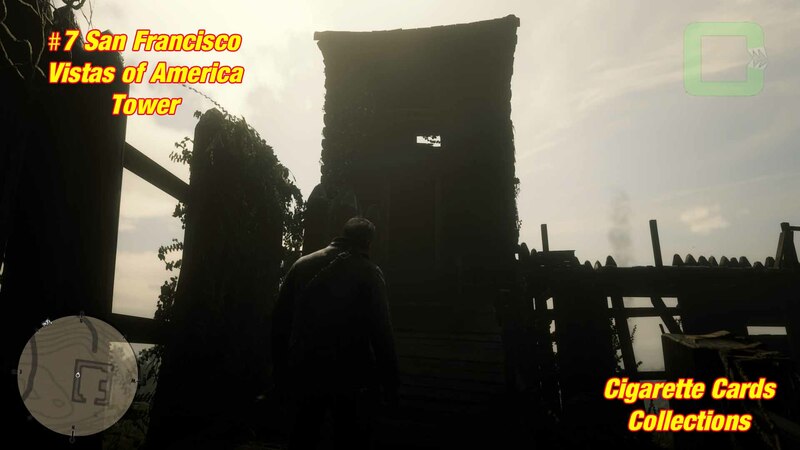 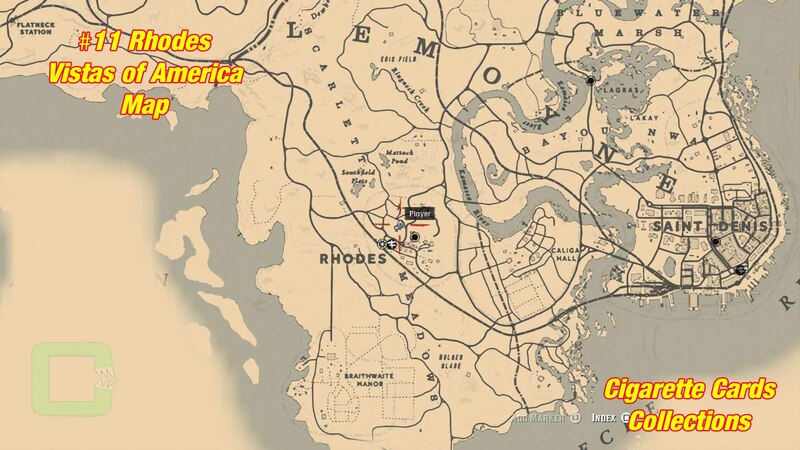 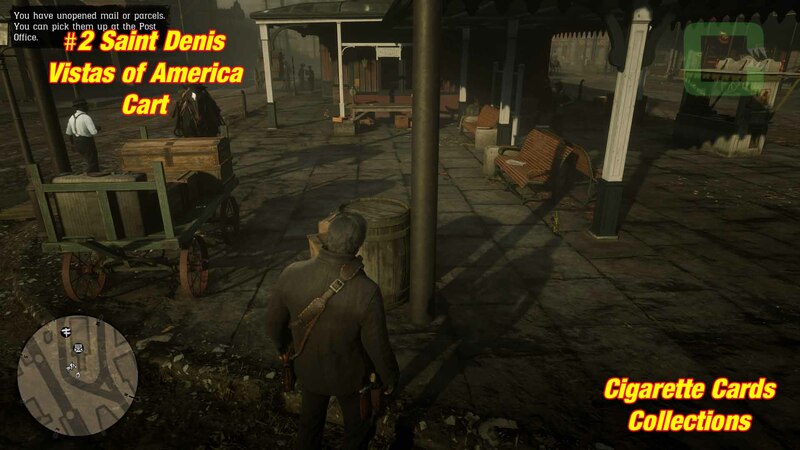 The card is located in Saint Denis near the Post Office (Trolley Station). 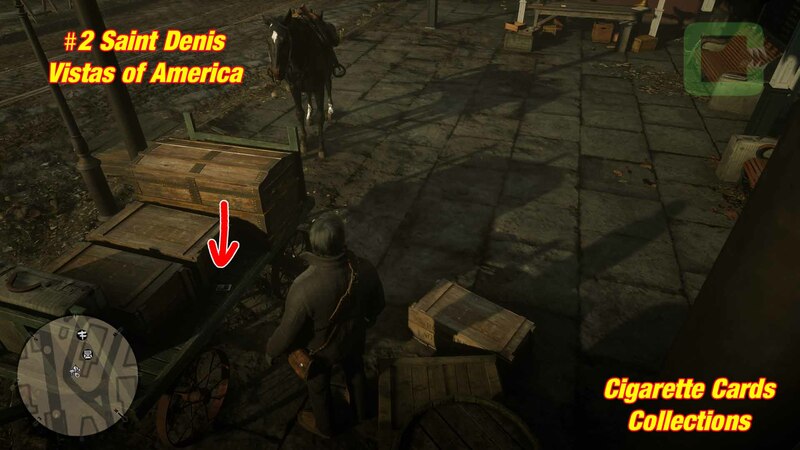 There is a luggage cart outside. It's on there. 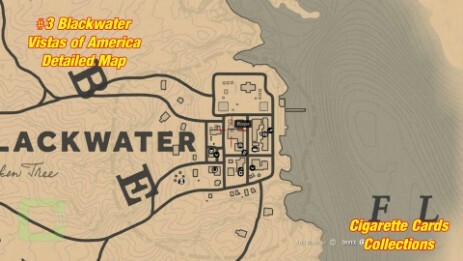 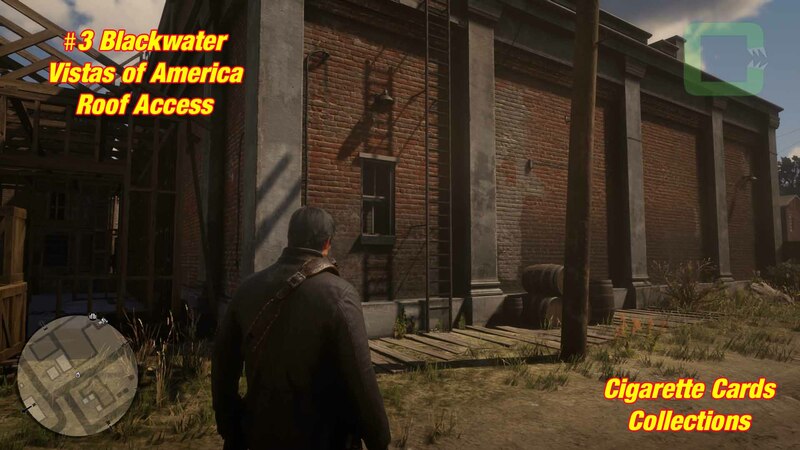 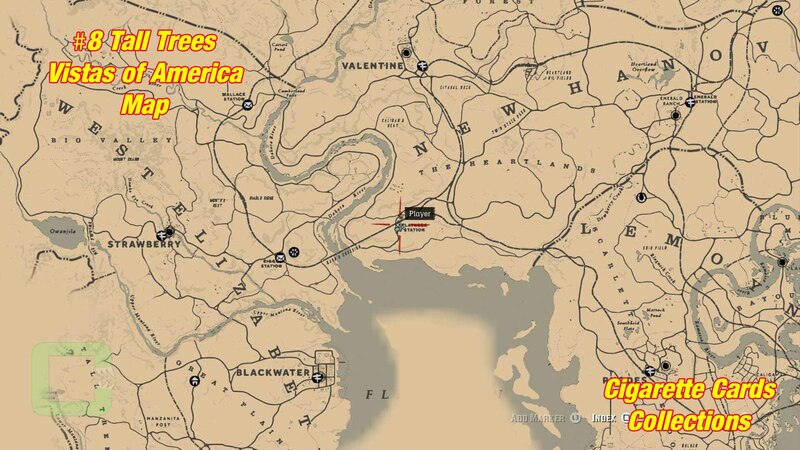 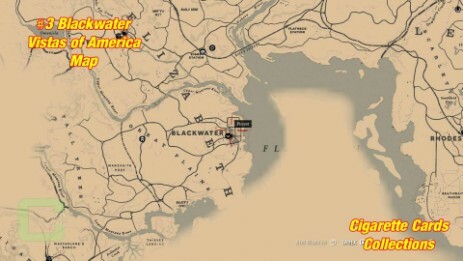 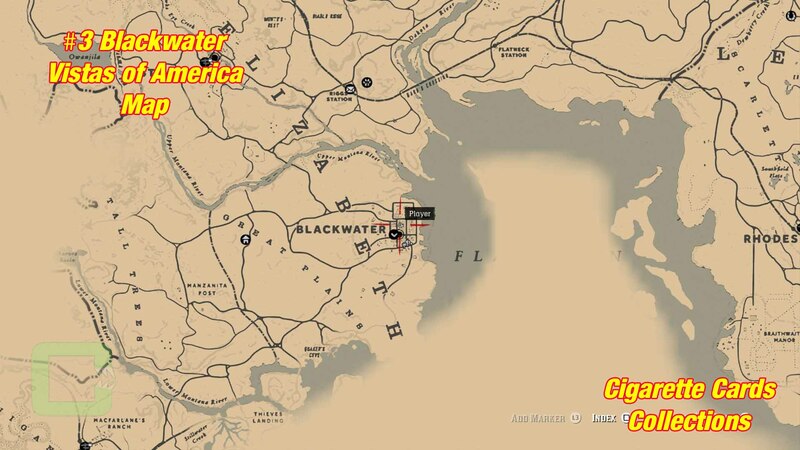 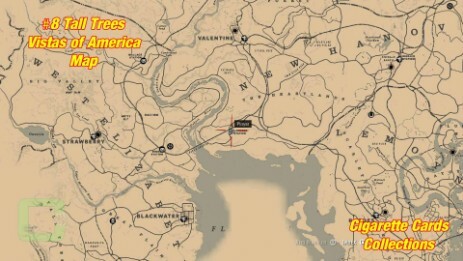 The card is located in Blackwater. It's on the roof of the huge building called "Blackwater Theatre" (not the Show Building). 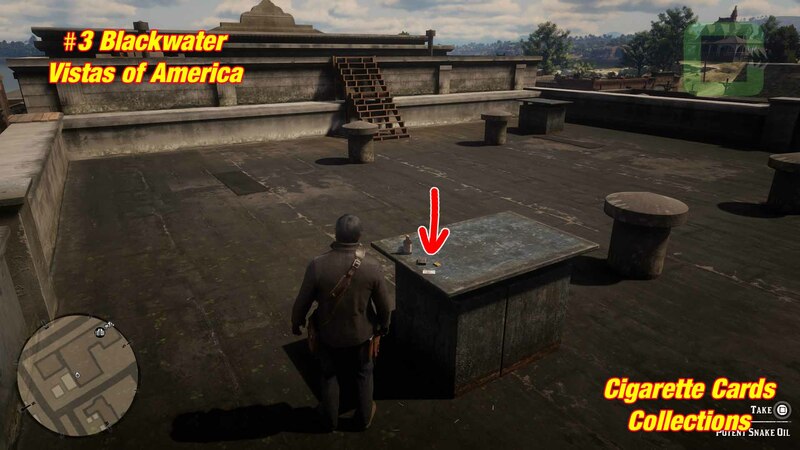 Climb the roof at the back to get the card. 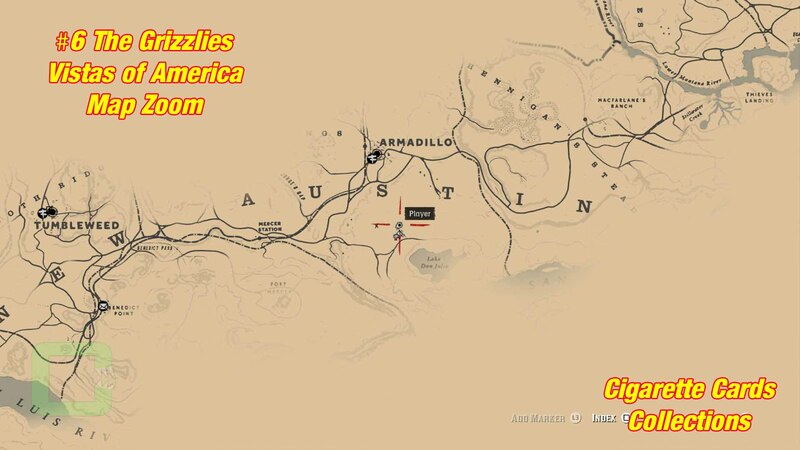 The card is located in the Armadillo area. 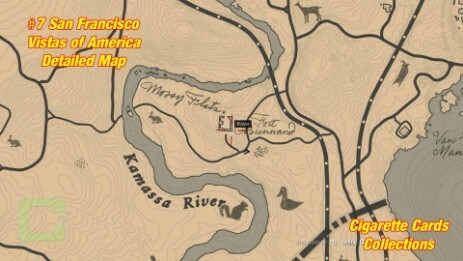 There is a pig pen next to the train station. 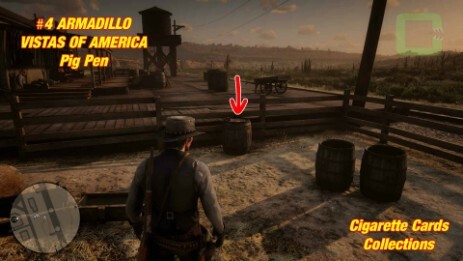 Inside the pen is a barrel with the card on it. 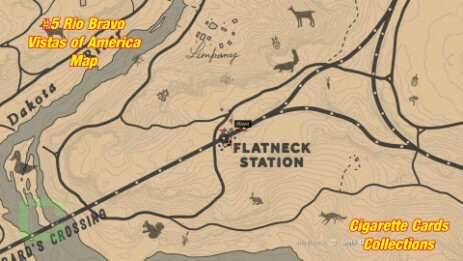 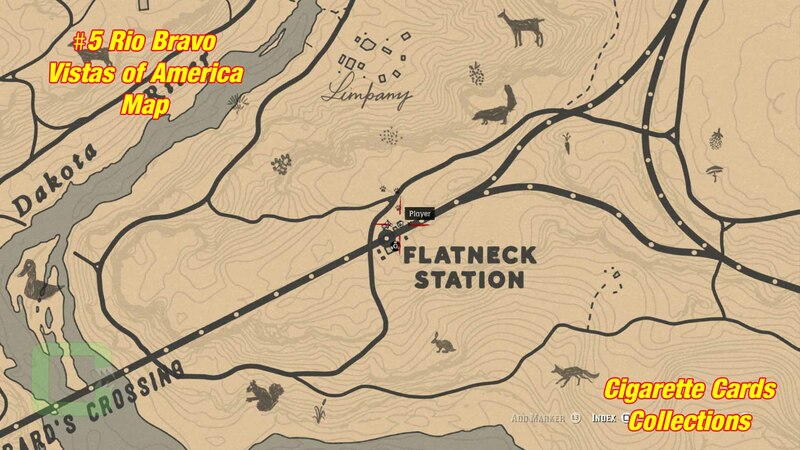 The card is located at the Flatneck Station south of Valentine. Climb the Wind Wheel to the highest platform to get it. 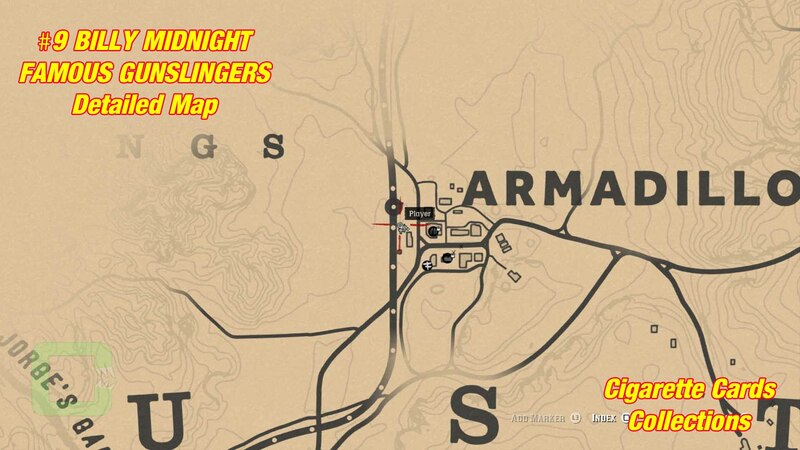 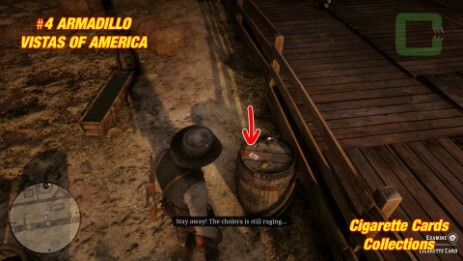 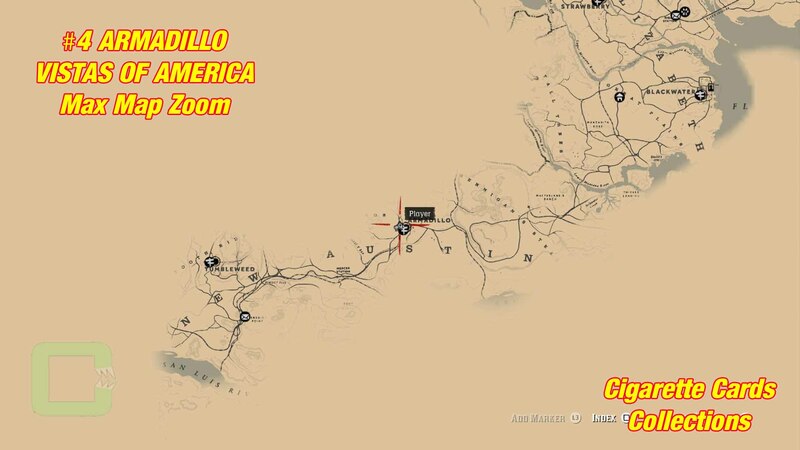 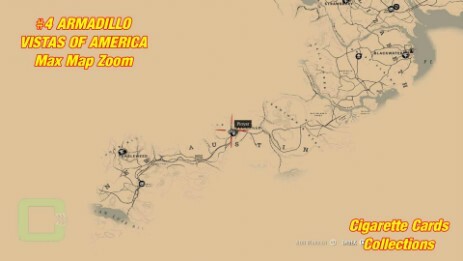 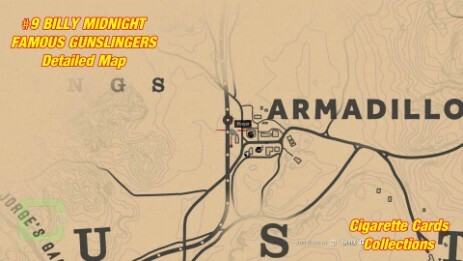 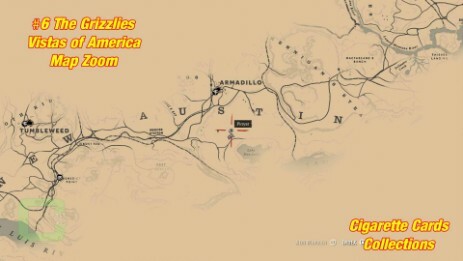 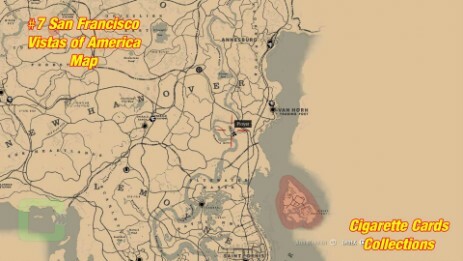 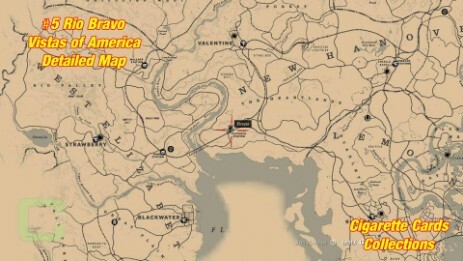 The card is located south of Armadillo. 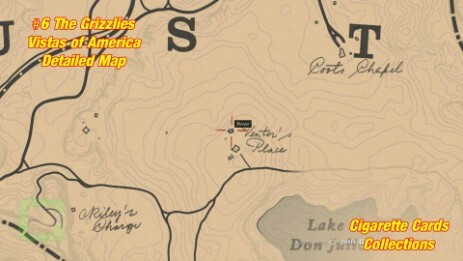 The place is called "Venter's Place" near Lake Don Julio. It's inside the smaller of the two buildings on the table. 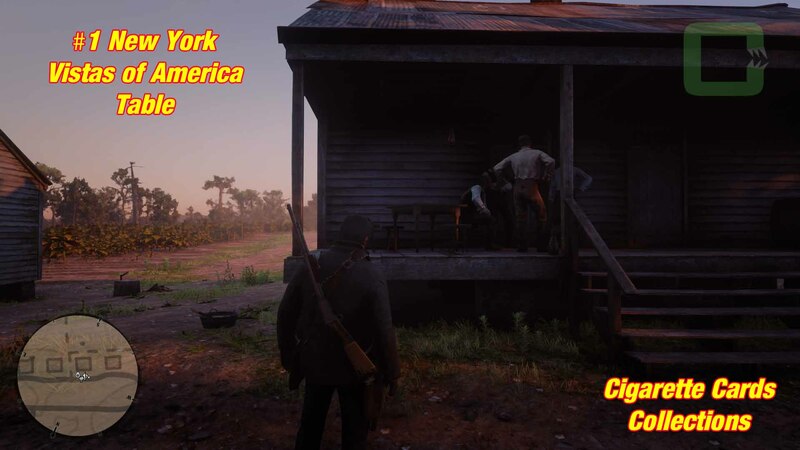 The card is located in an abandoned fort South West of Van Horn. Climb up the tower. 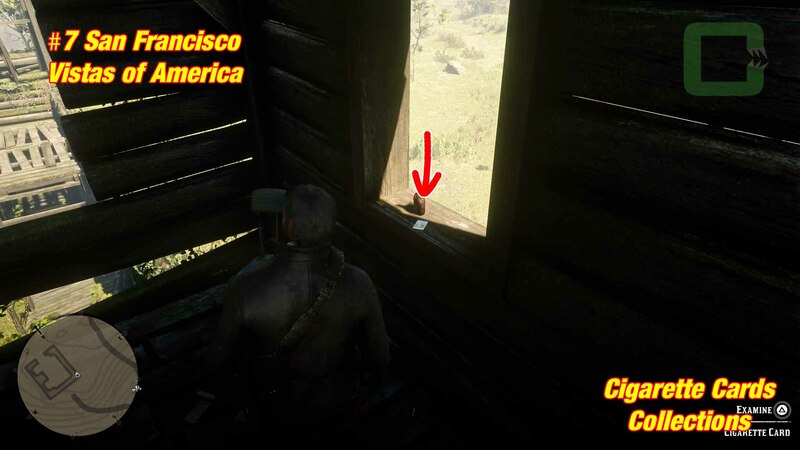 It's on the window sill. 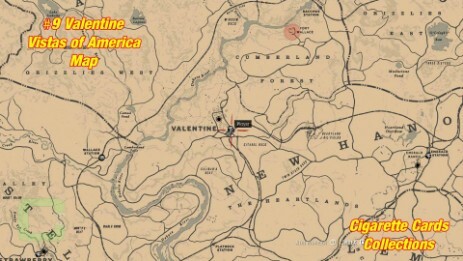 The card is located at the Flatneck Station south of Valentine. 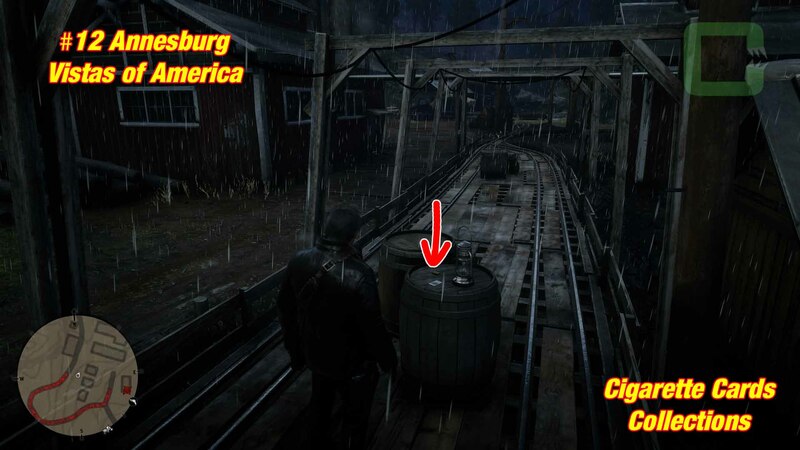 It's at the back of the station, on a barrel next to the firewood. 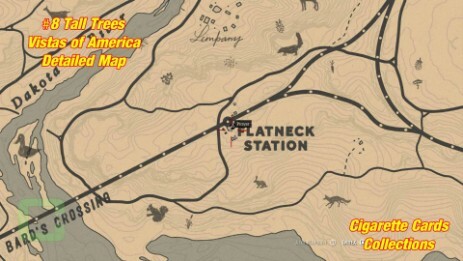 The card is located inside Valentine Train Station. 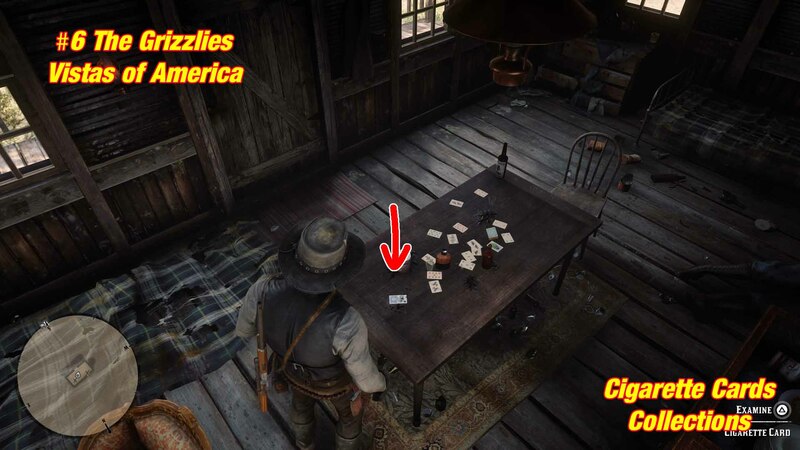 It's on a table. 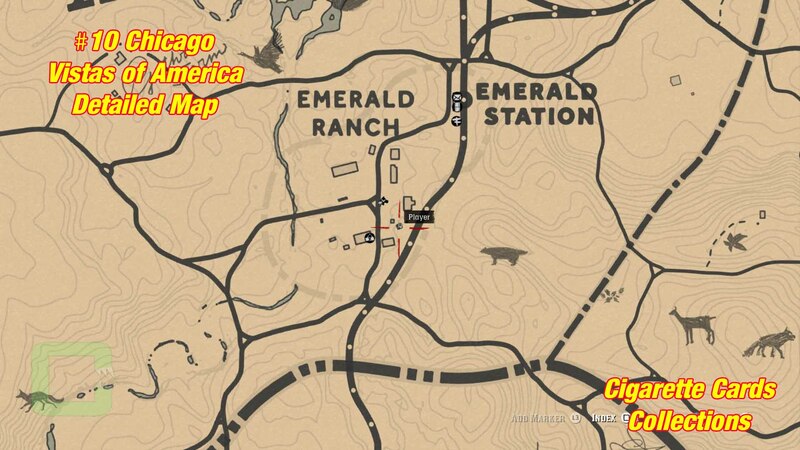 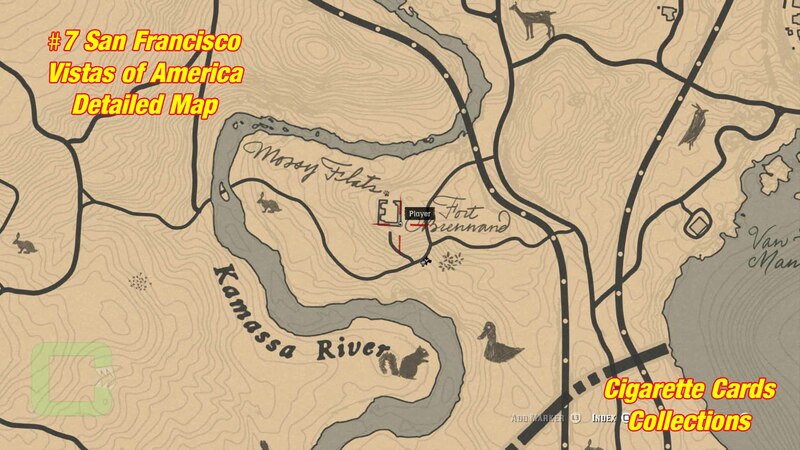 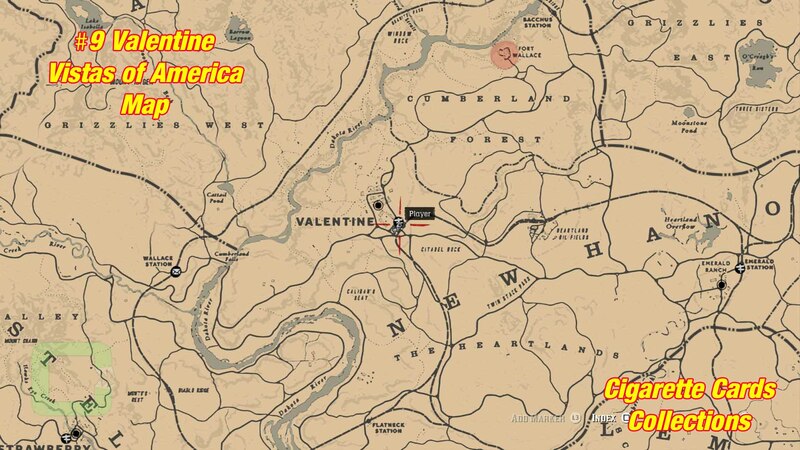 The card is located at Emerald Ranch, east of Valentine. 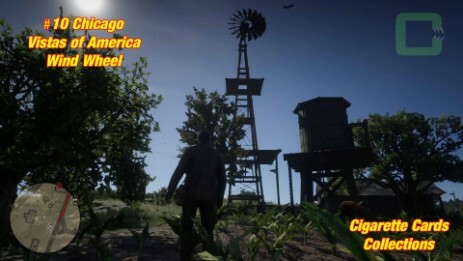 Climb the wind wheel to the top platform. That's where the card is. 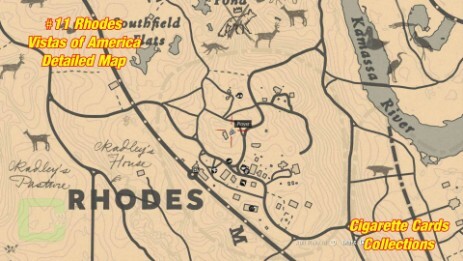 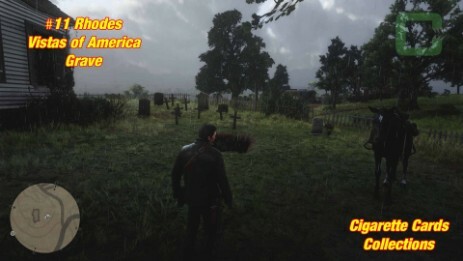 The card is located at the cemetery of Rhodes. 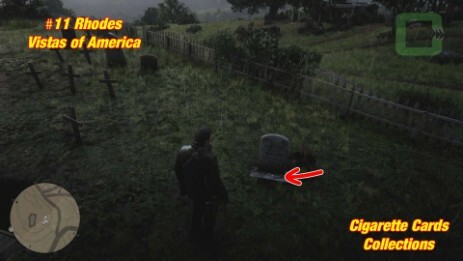 Find the grave stone next to the open grave. 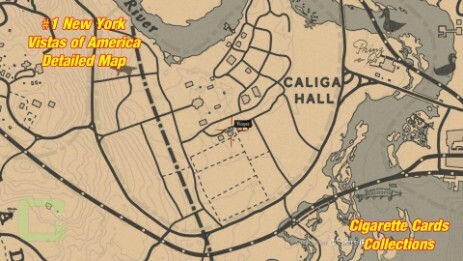 That's where it is. 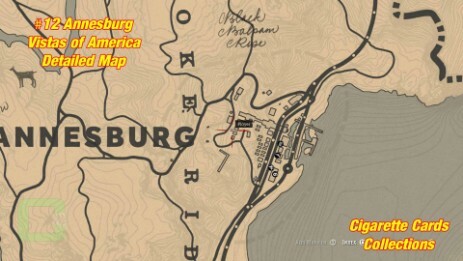 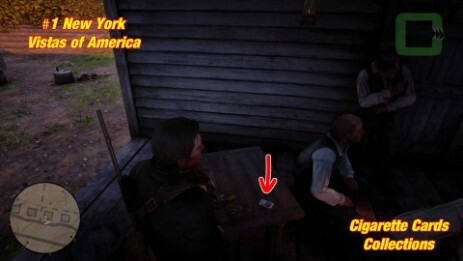 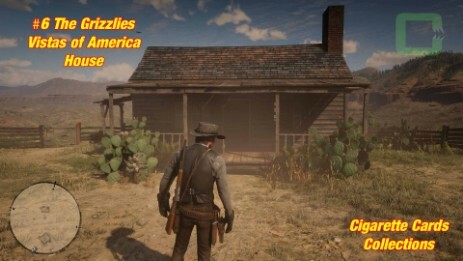 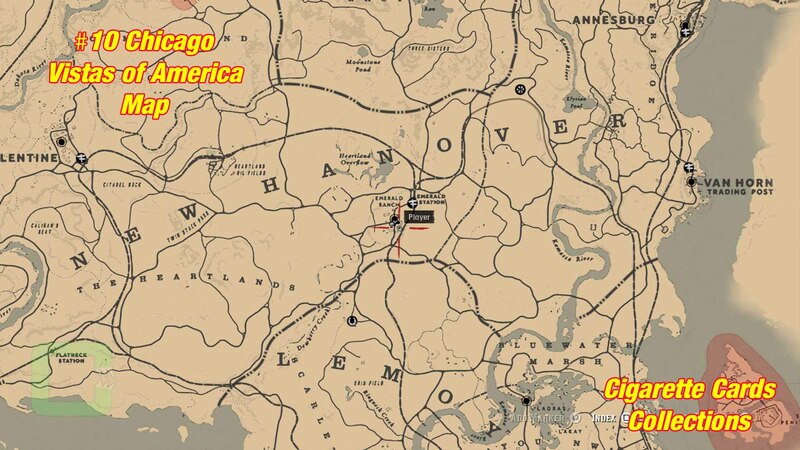 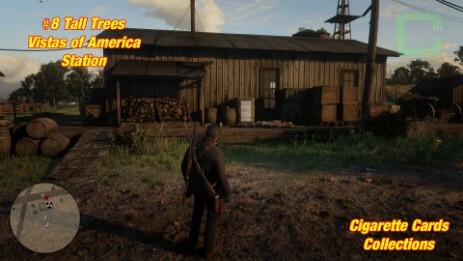 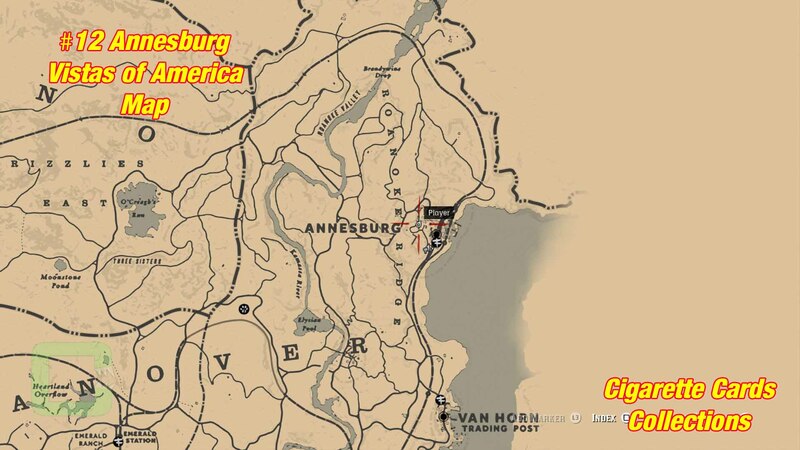 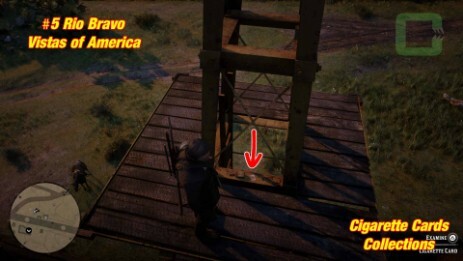 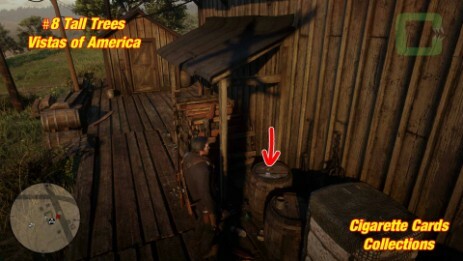 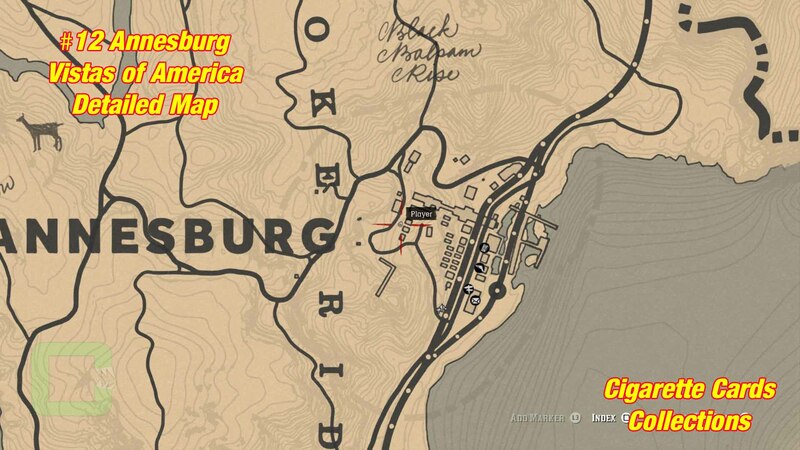 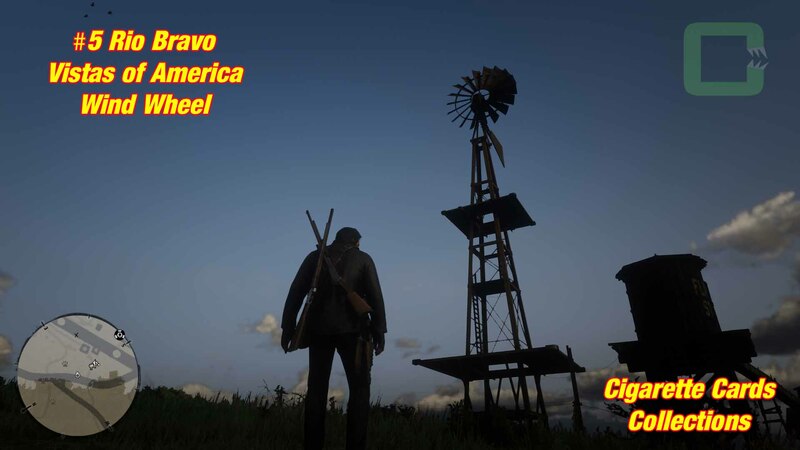 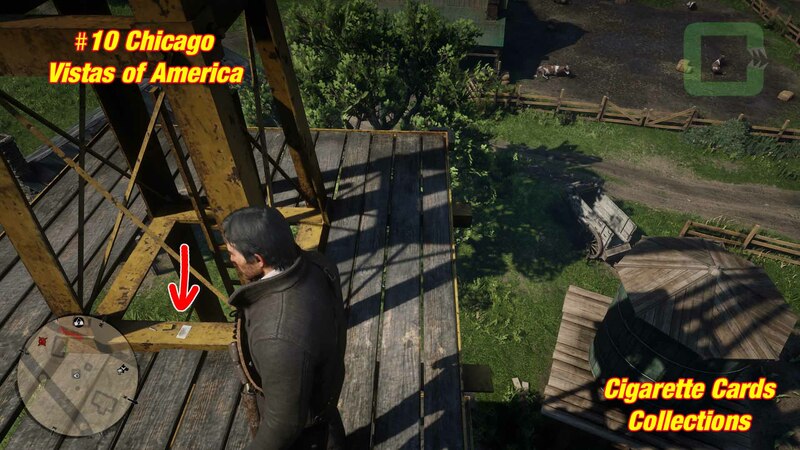 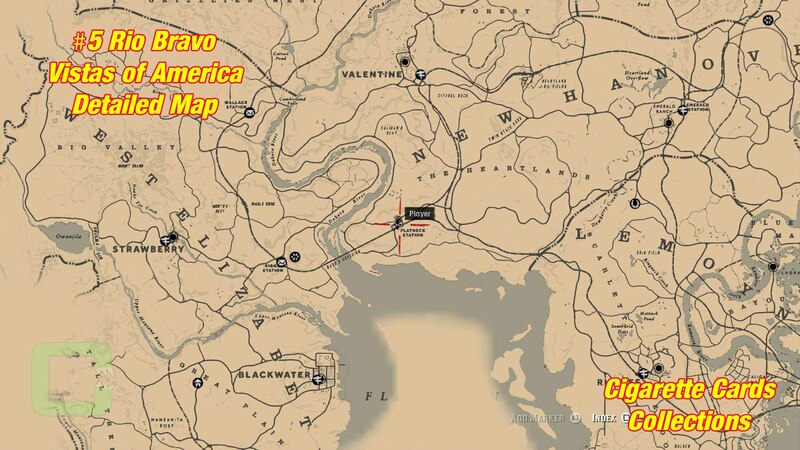 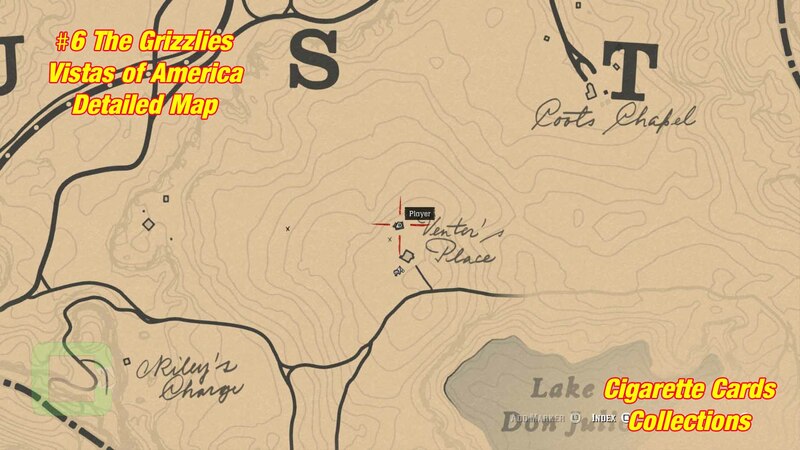 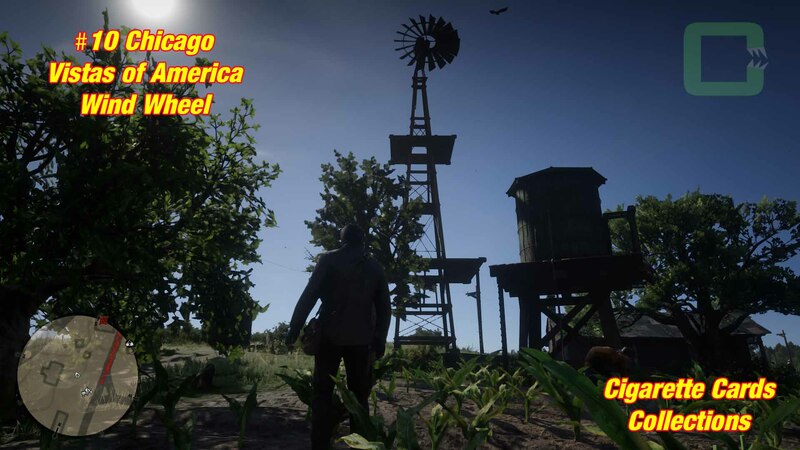 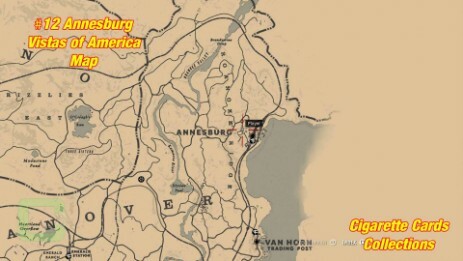 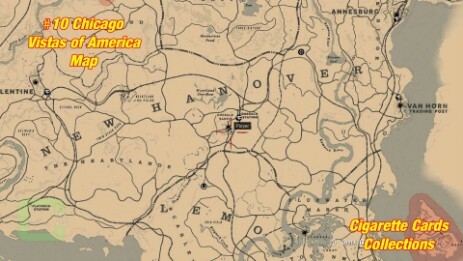 The card is located at Annesburg. 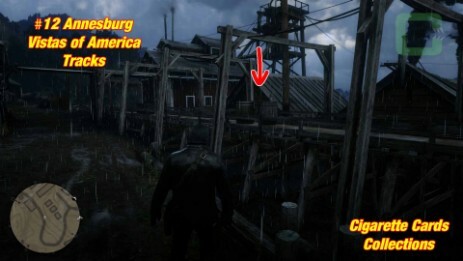 It the higher located part of Annesburg there are some Mining Tracks. On the tracks are 2 barrels that's where the card is.